On January 7, Lana Del Rey said on Twitter that Radiohead has sued her for copyright infringement because of the similarities between her song “Get Free” (released in 2017) and Radiohead’s “Creep” (released in 1993). Lana Del Rey’s willingness to offer up to 40 percent of the publishing revenues out of court suggests she recognizes that the songs are too similar. “I don’t think you would offer 40% of your publishing if you believed the claim was frivolous,” said James Sammataro, an attorney at Stroock & Stroock & Lavan. But anything can happen when music copyright cases are decided by a jury of everyday people, especially when the dispute occurs over something as subjective as the way a song sounds as opposed to the lyrics used. Case in point: Led Zeppelin. Throughout Led Zeppelin’s storied history, the band has occasionally needed to pay up for copyright infringement due to lyrical content. But when Led Zeppelin famously faced a copyright lawsuit based on the musical similarities between “Stairway to Heaven” and the song “Taurus,” Led Zeppelin prevailed. Whether the chord progressions used in both songs are commonly used in other songs. One of the reasons Led Zeppelin successfully defended itself in the plagiarism lawsuit over “Stairway to Heaven” was that the band’s legal counsel argued that “Stairway” is based on common chord progressions that date back to the 17th Century and can be heard in songs such as the Beatles’ “Michelle.” It’s worth noting that the Hollies successfully sued Radiohead over similarities between “Creep” and the Hollies’ “The Air That I Breathe,” which adds an ironic twist that could help Lana Del Rey. She will need the help of an expert who can demonstrate similarities between both “Creep,” “Get Free,” and other songs. And then there is the X factor. If the musicians actually appear in court to testify about the writing of their songs, how will they come across? Will either side charm the juries or alienate them? 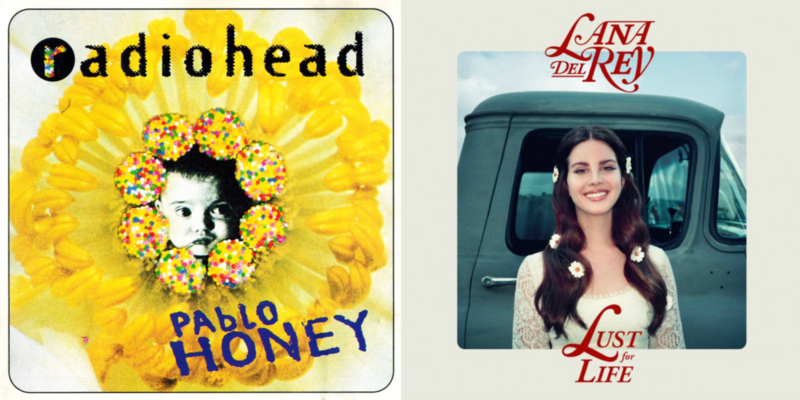 If I had to bet on which side will lay on more charm, I’d place all my money on Lana Del Rey as opposed to the enigmatic members of Radiohead. Ultimately, if the case does end up in court, a jury of everyday people like you and me will decide. And anything goes. This entry was posted in Music and tagged Creep, Get Free, Lana Del Rey, Led Zeppelin, Radiohead, Stairway to Heaven. Bookmark the permalink. Indeed! Do you think Radiohead has a legitimate gripe?